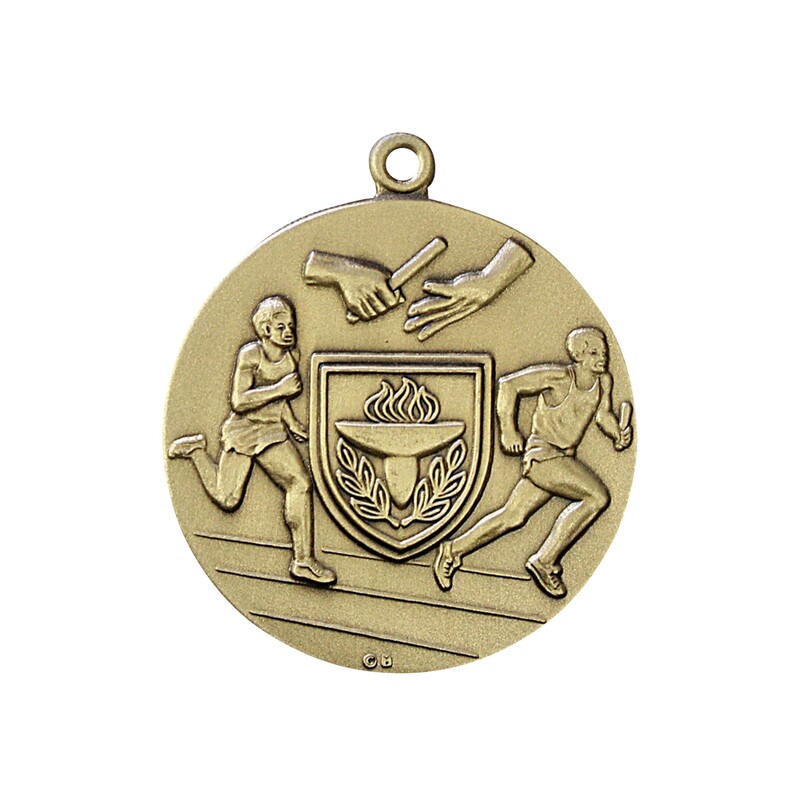 The Premium Male Relay Team Medals will be a big hit with your runners! This gold-tone medal depicts two runners and an enlarged image of a pass off with a victory torch shield in the foreground. 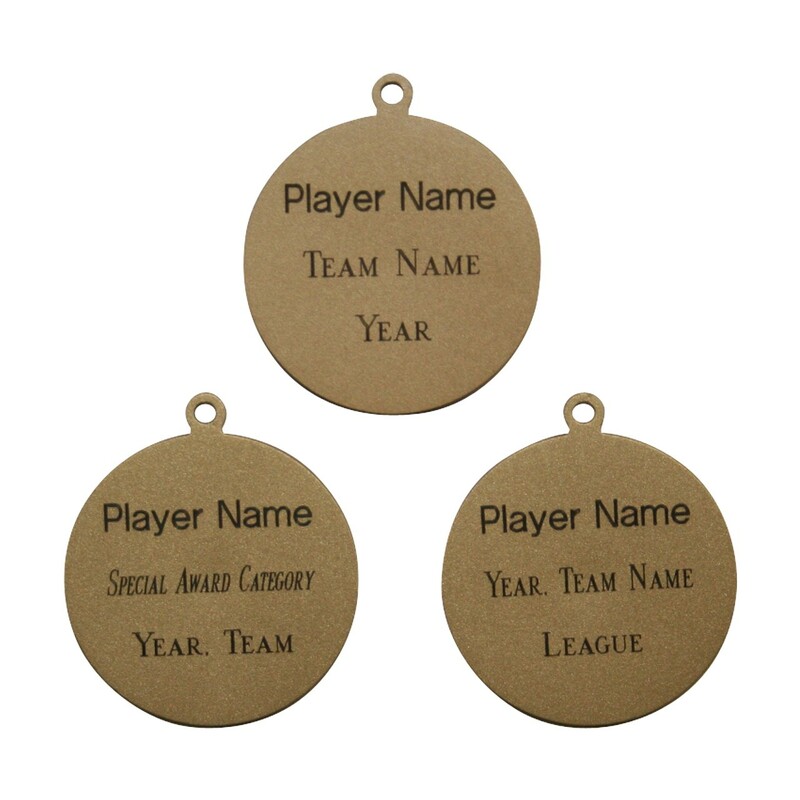 Your custom engraving will be darkened for a truly appealing look. 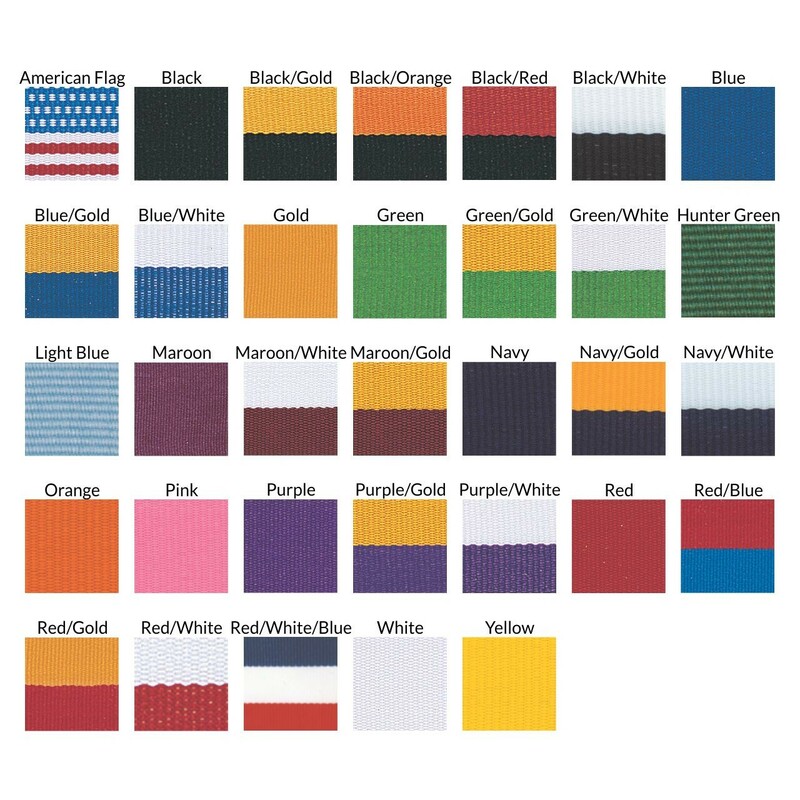 Medals are 1-3/4" in diameter and include your choice of neck drape and 3 lines of engraving.